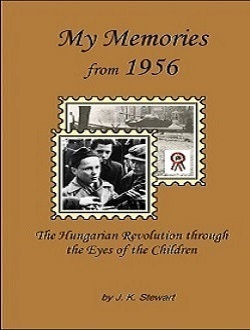 The author was only five years old when the Hungarian Revolution had broken out. This book is about remembering the year of 1956 that had started out peacefully but ended in turmoil. The author describes the events through a child´s eyes. Later some of her friends, who had been teenagers at that time, describe the major events that they had experienced. These were very turbulent times. Many of their friends had died. They were the lucky ones who had survived. Now they are telling their stories, so we can learn from the past and never ever let it to be repeated.